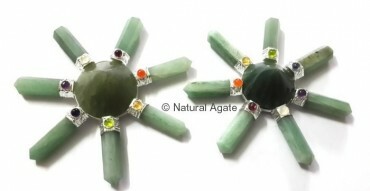 Green Aventurine Chakra Energy Generator is 3-4in in size. The energy produced by this tool intensifies the powers and properties of green aventurine. It is available on Natural Agate at a fair price.